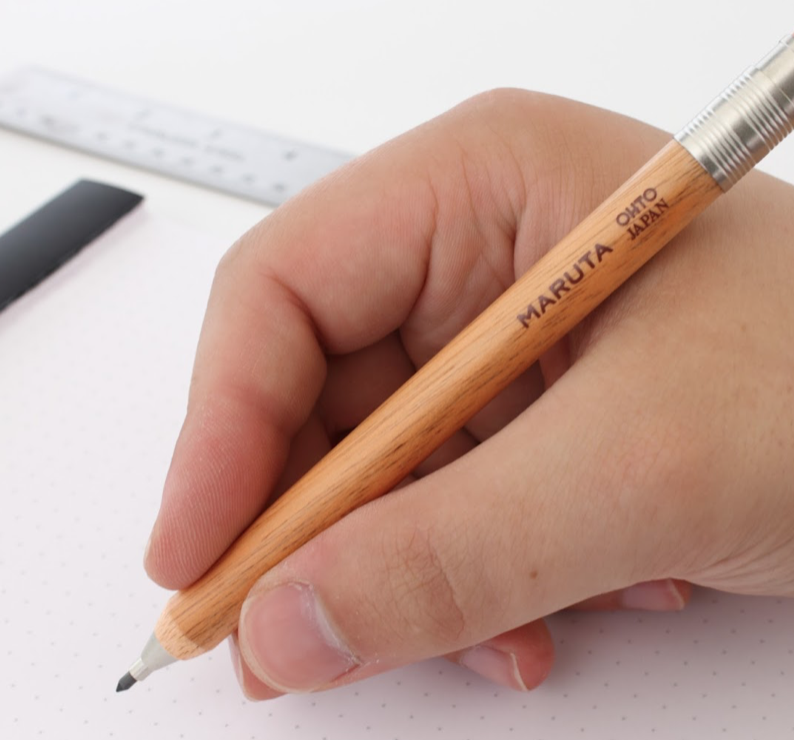 Sometimes the simplest things in life are the most pleasing, and the Maruta mechanical pencil from OHTO is one of these. 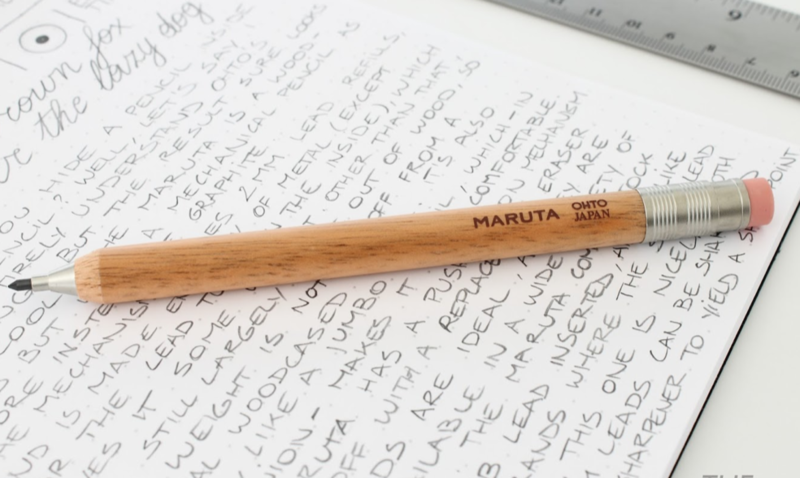 'Maruta' means 'log' or 'wood' in Japanese, and this pencil is - appropriately - made of wood. 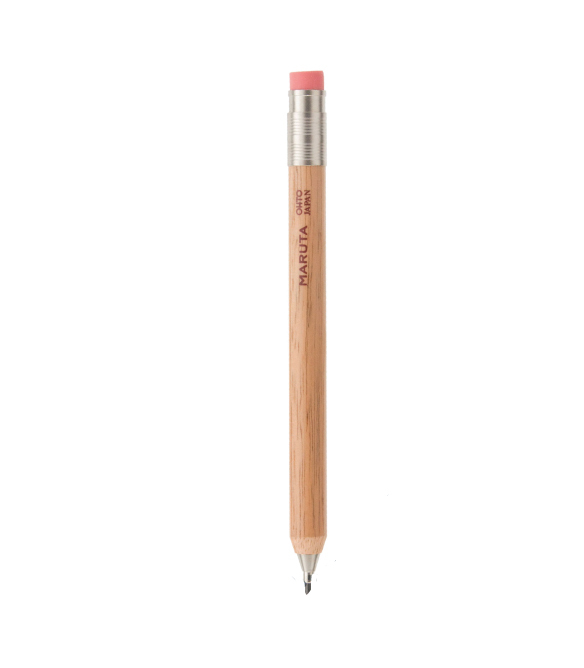 Metal ferrule with pink eraser. Push-button advance mechanism. 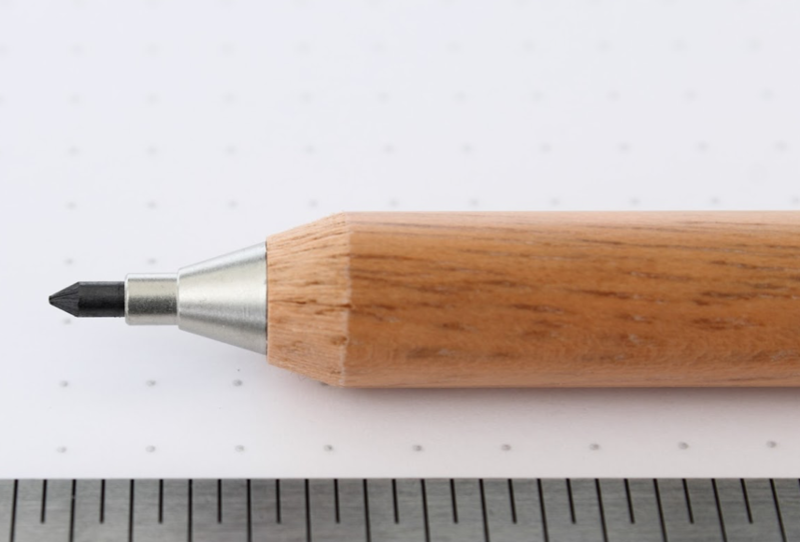 Fitted with 2mm HB lead.